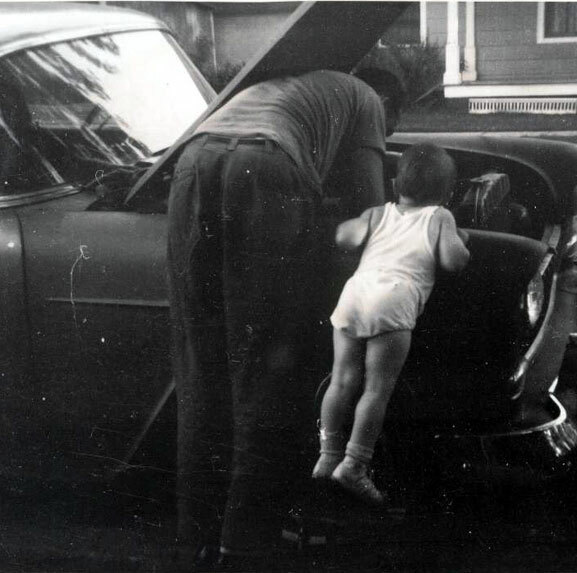 I’m sure my interest in cars and other vehicles was passed down from my dad. Although I don’t remember all the details, I’m told that at age 2 my first tricycle and pedal car went through an immediate disassembly upon receiving them as gifts. I did get them back together and enjoyed using them. As the years continued I remember hanging around my dad and just being curious about anything he was doing. 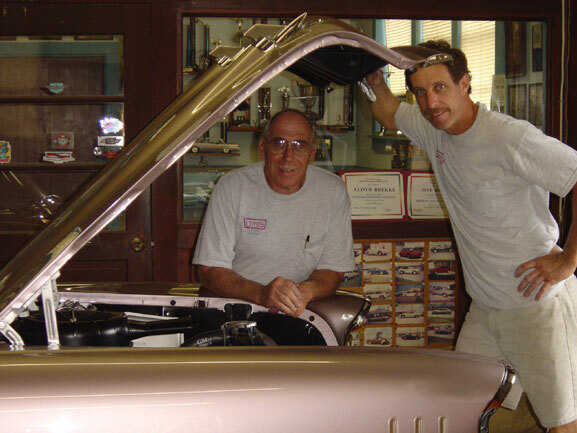 From his days of karting to adding a new hood scoop to someone’s Corvette or rebuilding the crashed 59 Vette he found or building his own airplane, there was never a lack of cool stuff going on around the house. I was in 3rd grade when he let me do my first oil change on his 70 Z28. I remember it well, because I put in too much oil and had to drain out the one extra quart. My interest in model building also started at this age and any extra parts where always kept and used for future creations. While living in Kansas I probably lived the ultimate middle schoolers dream. I was able to get a restricted drivers license at age 14. Not that I needed to drive every day but I could drive to school once in awhile when necessary. The car I drove was a 57 Chevy Nomad wagon with a solid cam 350, Muncie 4spd,Crager Mags and Lakewood traction bars. I’ll never forget the look on the principal’s face when I went to the office to ask where I could park my car. I bought my own first car, a 57 Chevy 4dr sedan in high school. On it, I tackled the engine rebuild, trans replacement, interior change and my first complete repaint in the garage. At that time a guy said he’d shoot it for $180.00 and I though that was too much. Let’s just say that thanks to dad that first paint job went from “what happened!” to “that really came out nice“. I still have the car today. After high school I attended Florida Institute of Technology and earned a Bachelor of Science in Mechanical Engineering. After many unsuccessful attempts at getting into the engineering field, I joined dad at the shop. 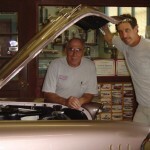 Working with him on projects that had always been considered hobbies is now something that has allowed us to share with others our love of the automobile. Although there are certain aspects of the business that are not the most fun, we both realize that they are necessary to provide the best possible job for our customers. When we hear the statement “ Oh it turned out better than I expected” then we know it’s all worth it.